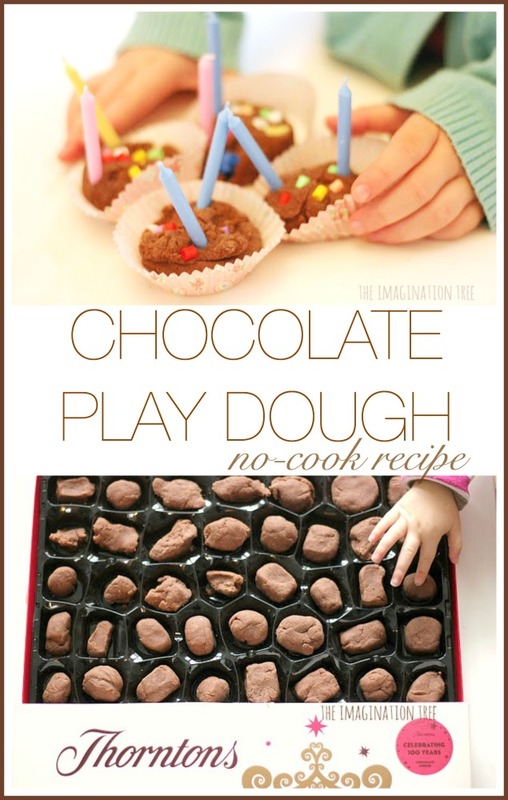 Here is an easy and delicious no-cook recipe for chocolate play dough! 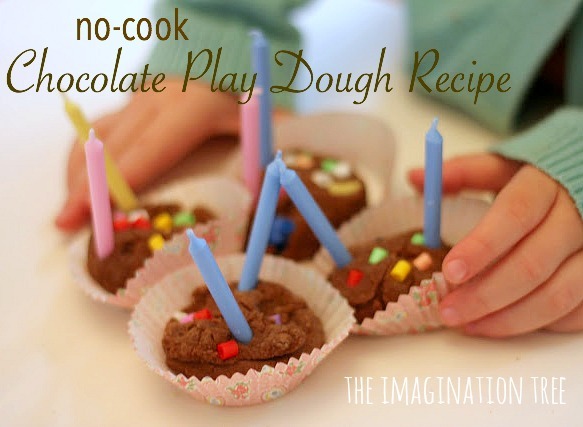 Make this super simple no-cook chocolate play dough recipe with your preschoolers and school aged children for a fun sensory or Valentine’s day activity or to give as a take-home party favour gift idea too. It’s been a whole year since we first made chocolate play dough and it was LONG overdue that we made some and played with it again! What were we thinking waiting so long? This stuff is the BEST! It looks great, smells wonderful and prompts so much imaginative play, and only takes 4 minutes to make. Perfect! They have both been playing with this non-stop as the smell is SO delicious! 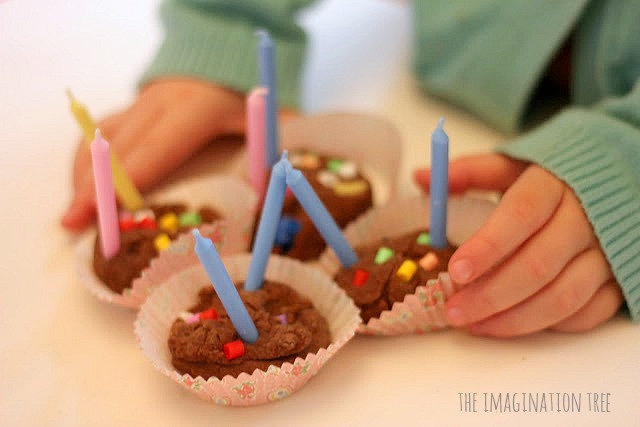 So far they have made boxes of chocolates, rolled out cookie-dough, made brownies and cooked them in the “oven”, and formed them into chocolate fairy cakes with Hama bead sprinkles and candles on top! We have also had a whole morning role-playing Charlie and the Chocolate Factory and putting together a chocolate shop, which have been plenty of wonderful, imaginative fun. I’m exhausted from all the playing! « Growing Cress Heads and Cress Initials! You read my mind! 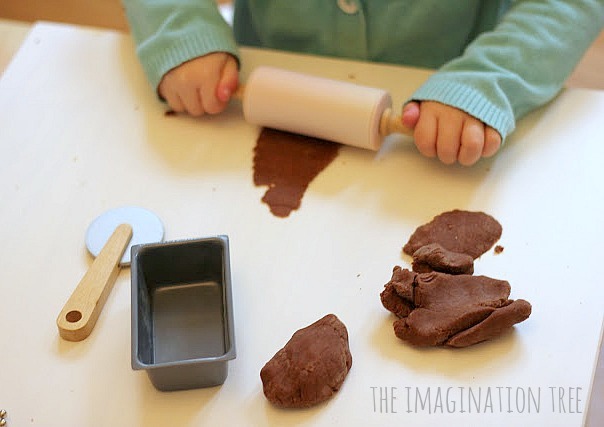 I am making chocolate playdough today for my kids to give out as valentines!! thanks so much for the recipe!! Lovely idea for Valentines! Over here, kids don’t really give gifts, but it’s perfect! We needed to make new play dough this week…and it’s going to be much more cool now! Thank you! So fun to make for v-day! Thank you for the recipe. This sounds like so much fun, we should try this once! yes do! hope you enjoy! 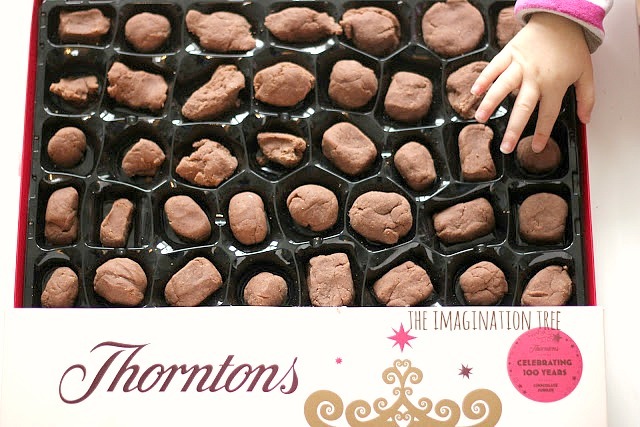 What a wonderful idea – I can’t wait to do it with my granddaughters … however, you had me drooling with the Thornton’s box. 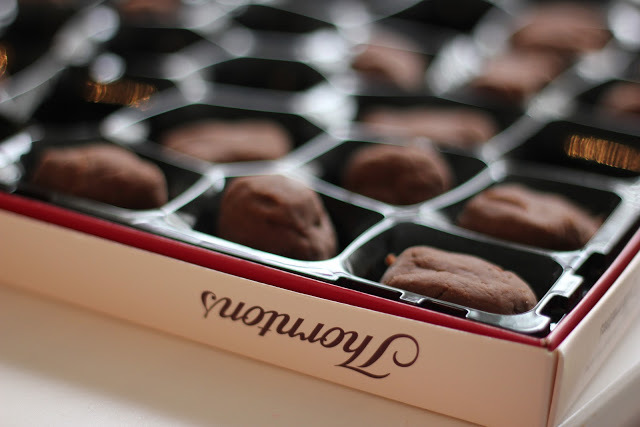 I’m a voluntary exile in San Francisco and I so miss those wonderful chocolates. 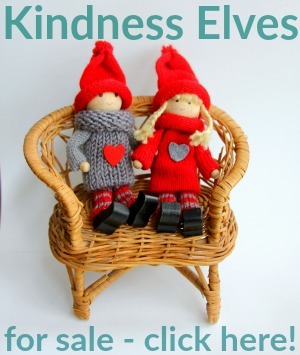 Love your blog … thank you, thank you! Haha yes, good old Thorntons! you are welcome and hope they love it! What a lovely idea! I can almost smell it already 🙂 Thanks for another inspiring blog. Well.. our last batch of playdough really needs refreshing!! 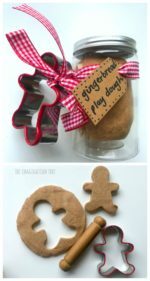 And I am hoping on a nice box of chocolates this February… I think Choc Playdough will have to be made next!! Love this! I featured this post on my fave five friday this week. If you would rather I used just a link instead of a picture, please let me know. 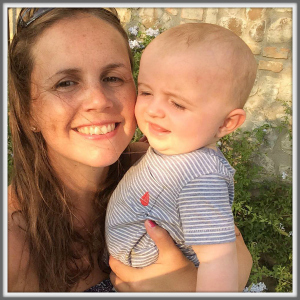 I would love for you to come and link your blog to my new linky party. It can be a particular blog post of yours or just a link to your blog. Please come add your blog to the linky party now!! Thanks! Thank you SOOOO much for this idea. I made it for my preschool classroom and they LOVE it. My own kids at home were begging for their “very own batch”. Then I made 3 batches for my son’s Kindergarten class. Lots of Chocolate Playdough love happening here in Vermont! was bummed to find out it’s not edible…there is a peanut butter one somewhere that is…know it? this is the best idea! tried it and the boys loved it for days and days! wish you lived near us because your life with those cute boys looks like such fun!!! you have such great ideas that let kids explore and be free! This has definately given me the idea to try this in the nursery I work at. I will even love playing with it. Do you have to add glycerin? I don’t have any on hand. Just made some, smells good enough to eat! My 3 year old has loved playing with it making spider and horse cakes and blowing the candles out 🙂 Thanks for another great idea. 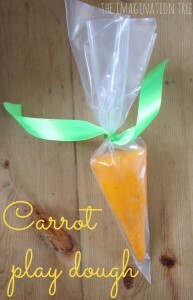 Just made it as an Easter activity – smells great and a fantastic Play Dough mix. Thank you!